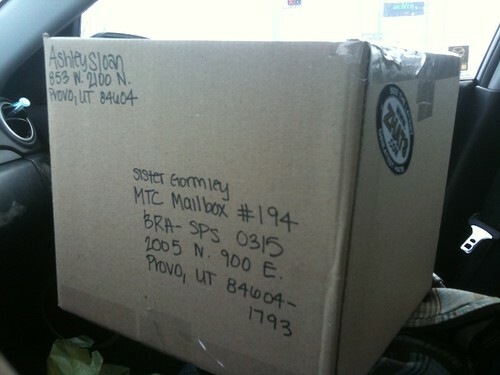 Sloanbook: Kelsi is officially in the MTC! 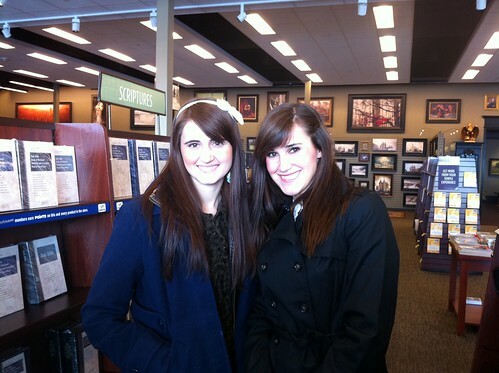 Kelsi went into the Provo MTC January 12th, 2011! My family flew in Tuesday night and she went into the MTC Wednesday afternoon. Right when they got in town we ate at Tucanos Brazilian grill and then hung out at the hotel afterwards. Here is Kelsi, Zach, and mom the night before she went in... Kelsi was applying to the Marriott School of Management the night before! It was sad to see her go but obviously it is a good thing so it is also happy! She is doing great and is having a blast in the MTC. She says it is happier than Disneyland and she did a whole analogy comparing the MTC to a cruise (and she always has a ton of fun on cruises!) Her companion is from Germany and just last week she went into the ER and is getting her appendix taken out! Her companion has been sick a bunch so Kelsi has been just studying like crazy while she is sleeping. She is very glad that she took beginning Portuguese here at BYU because she is a step ahead of the other missionaries learning it. The language is coming along really well for her and she is actually helping others often. She is going to be such a good missionary! Here we are in Deseret Book! Just getting some last minute new scriptures for her! Later that night I went to Coldstone Creamery with my friend Chantell, for a free ice-cream for my birthday and ran into one of Kelsi's good friends...Arielle. And this lucky girl just got hired and feeds the missionaries every Saturday night so she will be seeing Kelsi soon! I am jealous! 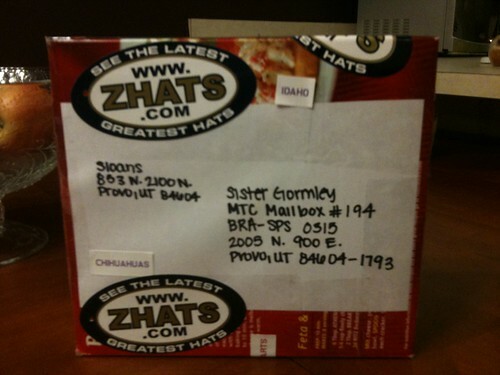 Brazilian jersey inside...and yes it is a Ritz cracker box, but you can mail ANYTHING for $2 and get same day delivery here in Provo at PostMart :) Love it! And some Shirley's sweet rolls for her and her roomies and companion!